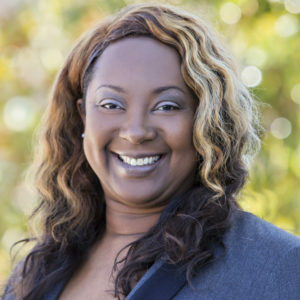 Melissa Collins believes her greatest contribution has been in training over a hundred teachers with the National Board Certification process of professional development for educators, supporting teachers to become teacher leaders. She has spoken on panels, provided professional development sessions, and hosted leadership networks to enhance their pedagogical skills so their students can achieve at the highest academic levels. She has championed the importance of science, technology, engineering and math (STEM) at all levels and as a result several of her students have gone on to enter the STEM workforce and enjoy successful careers. Collaborating with organizations such as VOYA and Shell she has served on a Research Action Cluster team and helped develop a website for stakeholders. She has implemented a STEM club at her school called Future Leaders of STEM (FLS) where students get hands-on training and interact with STEM professionals. She also has a partnership with the National Society of Black Engineers (NSBE) who collaborate with minority students, which is particularly relevant as 99% of students in her region are African American and for the second year in a row, while poverty rates have declined in the U.S., they have increased in Memphis and surrounding areas, with around 68% of students receiving free or reduced lunch. Her students reside in a region of the United States where segregation and other historical socioeconomic inequities according to race linger, but where inspirational teacher-leaders like Melissa play a vital community role. Her awards include becoming a National Board Certified Teacher, receiving the Presidential Award, West Tennessee Teacher of the Year, Horace Mann Teacher Excellence Award, Stephen Sondheim Award, Queen Smith Award, and Maverick Teacher.